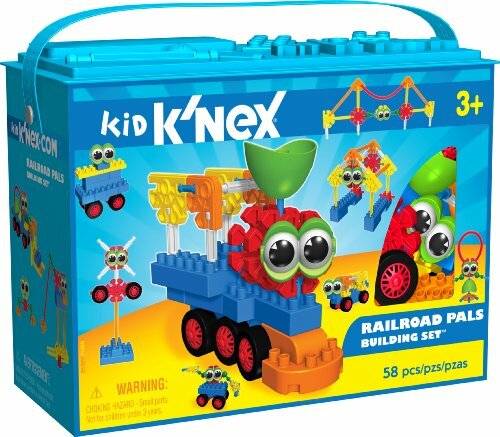 K'NEX Railroad Building PalsBuild fun train cars, engines, cabooses and more! Now with NEW KID K'NEX blocks plus lots of colorful, chunky KID K'NEX rods & connectors and personality parts, like eyes, wheels and a smoke stack! Includes an idea sheet with 20+ building ideas to inspire your little one's creativity. Handy storage containers for easy clean-up and take-along fun!